The beauty of games like Mystic Messenger is their ability to keep a player engrossed with minimal gameplay mechanics. 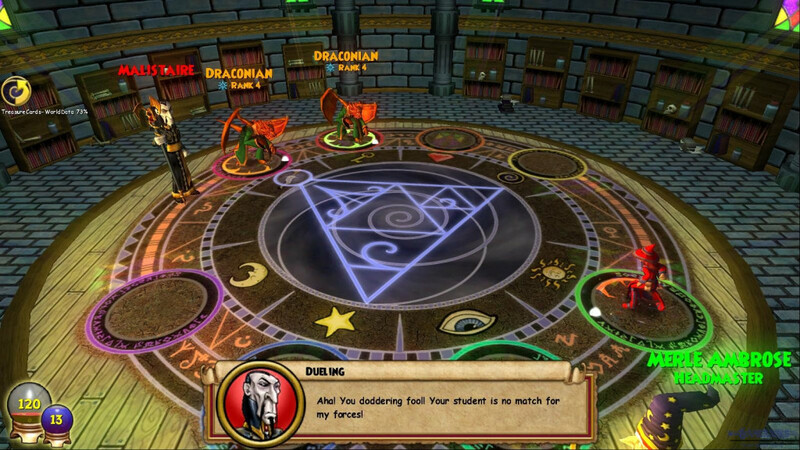 Intrigue is at the heart of the gameplay as the game expects its players to keep on guessing what happens as a consequence of their actions. Today, we are looking at a few other titles that are similar in style and tone to ‘Mystic Messenger’ and allows you to play God in other people’s lives. Here is the list of video games similar to Mystic Messenger that are our recommendations. You can play these games like Mystic Messenger on PS4, Xbox One, Xbox 360, PC, iPhone, Android, mac or even online. 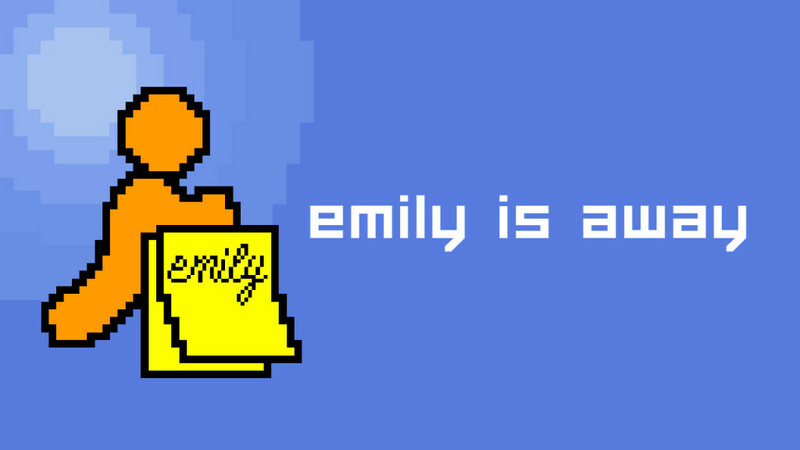 ‘Emily is Away’ is a visual novel written and developed by Kyle Seeley in the year 2015 for Microsoft Windows PC, macOS X and Linux platforms. 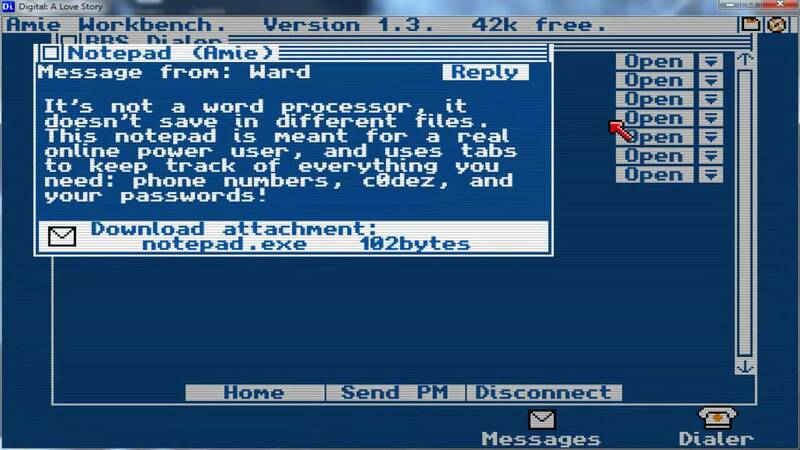 The game is very similar to ‘Mystic Messenger’ and takes place in a chat window on a system that is similar to Windows XP. You are required to interact with various characters in game through a chat platform that is similar to AOL in order to build relationships with them and progress through the game. The objective is to woo your college sweetheart Emily who goes by the name of ‘Emilyluv’ on the chat hub. You are a college student and the story progresses through the first year to the final year during which you must get into a relationship with Emily. During the course of the game, you are allowed to change the avatar of your chat profile according to whatever was common in the early 2000s. These include Eminem, band members from RHCP, popular characters from The Ring and Harry Potter and you need to change them on the basis of their popularity. We won’t speak any more on the subject lest we give the ending away but make your choices carefully, as they definitely do affect the outcome of the game. 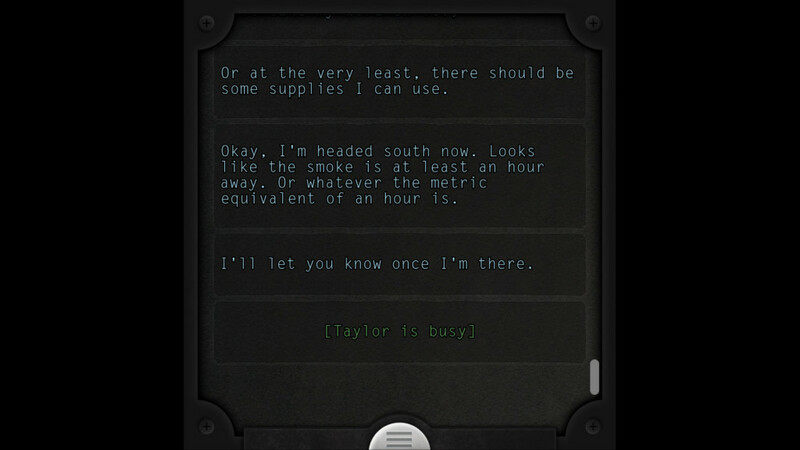 ‘Lifeline’ is a text based adventure video game developed and published by 3 Minute Games in the year 2015 for the android, iOS, macintosh and Windows PC devices. The main aim of the game is to survive a crash landing on an unknown satellite that is inhabited by alien creatures known as ‘greens’. 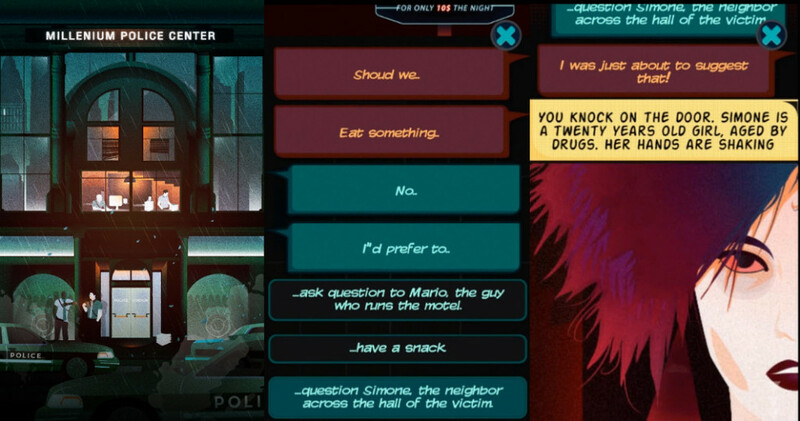 Similar to ‘Mystic Messenger’, the interface of the game is a chat window where you need to chat with other characters in game by choosing the correct options. 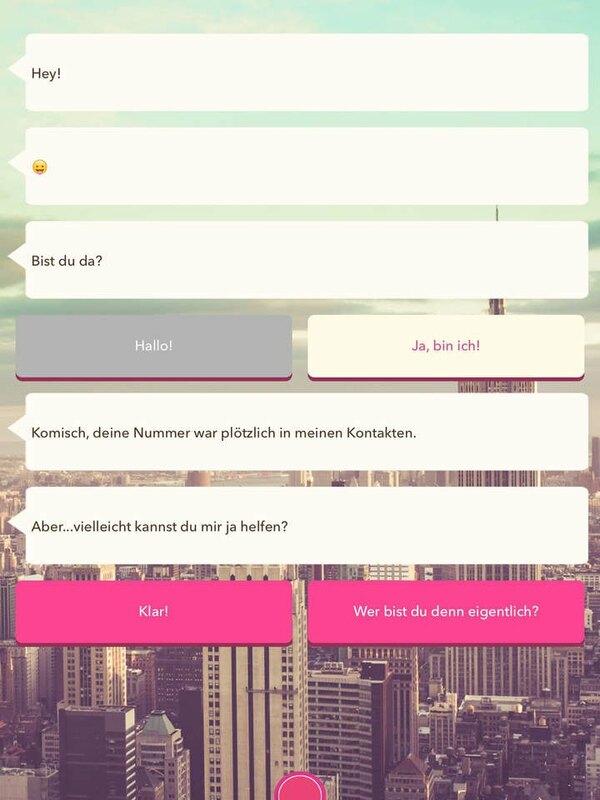 Two options are provided to two for each conversation and the setting of the game changes according to the choices you make in the game. 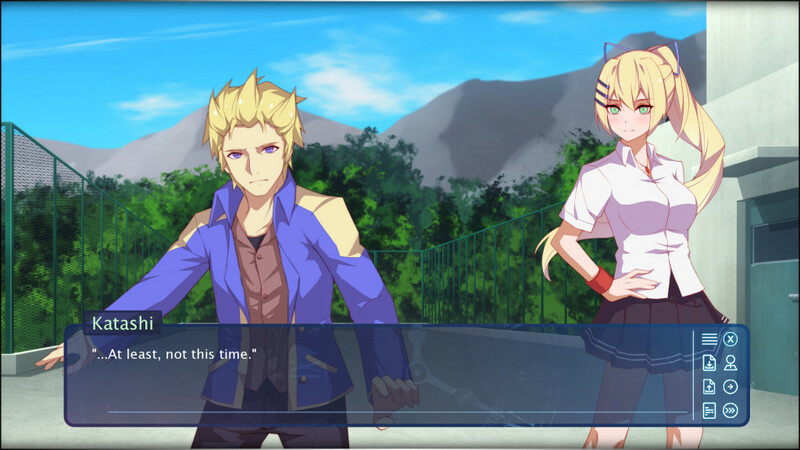 At certain stages of the game, you need to wait for messages in real time as the characters need time to go about their daily activities and only replies in their free time. However, once you manage to beat the game, a fast chat option is unlocked where you are able to skip the wait timers on the messages in order to quickly play through the campaign and witness all the alternate endings. 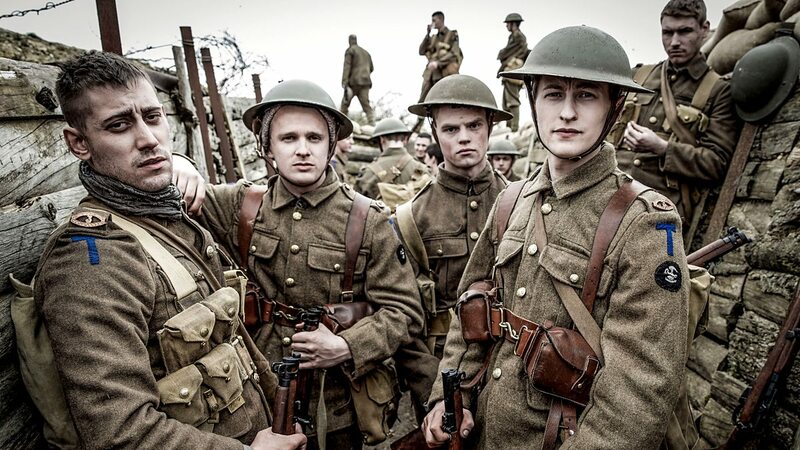 If you happen to make a wrong decision during the course of the game, it may result in your character dying but the game reloads from the last effective conversation cycle and you are able to progress through the campaign again. 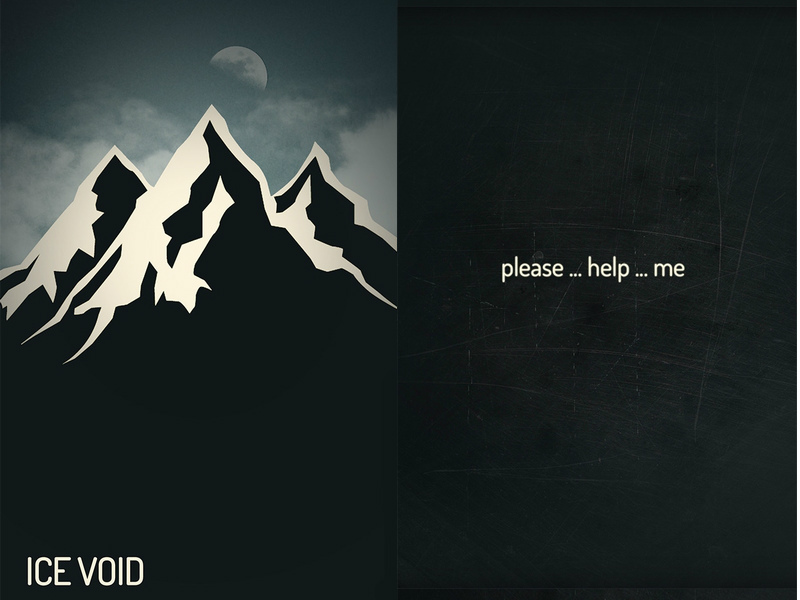 In ‘Ice Void’, you find yourself trapped in the summits of Mount Everest with the harsh unrelenting environment lashing against your very vestiges of survival. The game is entirely text based, so don’t go around expecting a sprawling HD graphical interface here. Instead, the entire game takes place through conversations on a handheld communication device that is able to only send and receive text messages. Bjorn, the protagonist of the game, finds himself separated from his team after a snowstorm and with night closing in fast, the chances of his survival are diminishing by the second. He stumbles through the snow and manages to find the communication device at the top of the mountain, and luckily you are on the receiving end of the channel. You are now required to guide him through the perilous ordeal and give him one last hope of survival. There are about 60 different endings to the game depending on the choices you made during the course of the session. It does take a bit of tinkering in order to get into the flow of things but once you manage to catch the drift, a variety of options open up to you. It is presently available only on iOS platform, so that’s a major setback in terms of accessibility but it is one of the more polished ‘Mystic Messenger’ type games out there and you should definitely give this one a spin if you happen to own an iPhone. When you find a normal lost phone of the ground during your time in the city, you find yourself getting obsessed with the person behind the screen. It starts off with an innocent glance into the call log and the gallery of the phone and before long you find yourself going through the personal messages. Once the border has been crossed, there is no turning back. You realize that your curiosity has given way to obsession and you are driven to find out more about the character to whom the phone belongs. There are recurring LGBTQ themes in the game, and it is generally well received by the community and at one point became somewhat of a cult symbol for them. It does not define what is right or wrong nor judges the personality behind the screen, but encourages you to find out more about the community due to the intrigue it generates through the storyline. 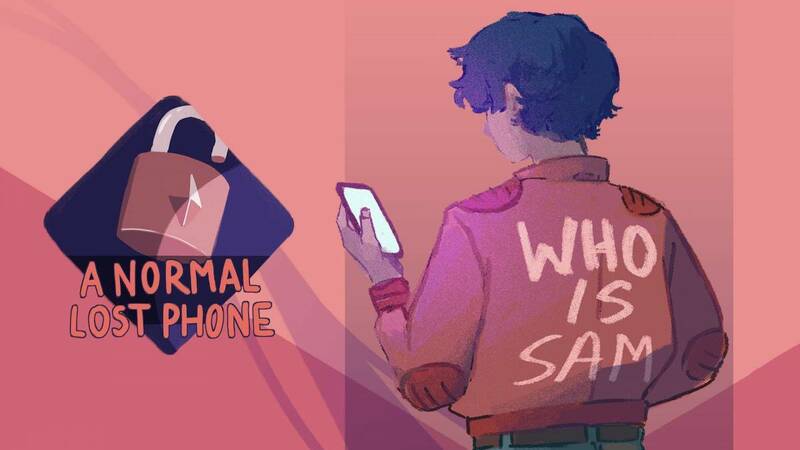 If you like playing through games like ‘Mystic Messenger’, then we are sure you will like the moral dilemmas you are presented with in this one. ‘Antioch’ is a text based adventure video game that plays similar to ‘Mystic Messenger’, but what sets this one apart from all the other games on this list is the multiplayer support. Multiplayer interactive text based adventure games are really hard to come by and this is the only one in existence to the best of our knowledge. This aspect of the gameplay really does bring a breath of fresh air into the genre and we hope that more such games pop up soon. 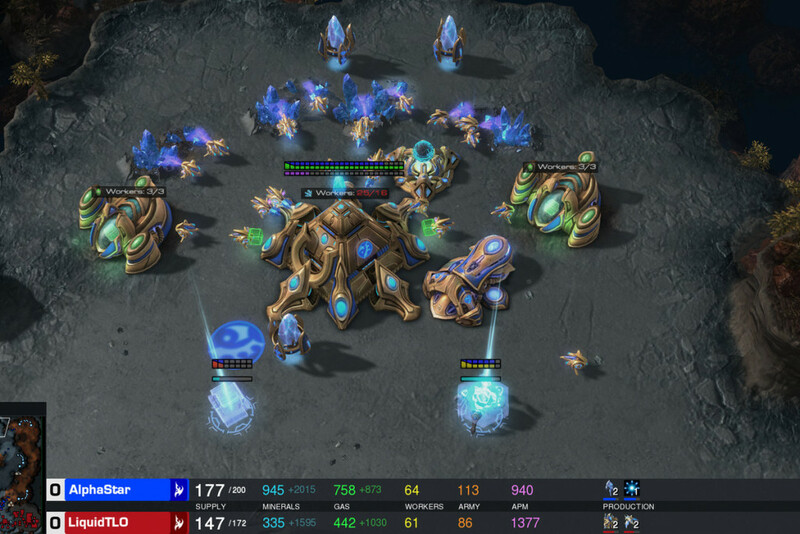 The range of choices available to you in the game suddenly changes as there is another human being involved in the mix other than an AI that is incapable of making intelligent decisions in real time. This opens up a lot of opportunities for the player to make intelligent decisions based on personal judgment and experience. The storyline for the game is written by famed web series writer ‘FibreTigre’, so you can expect a few twists there as well. It revolves around two detectives who are out to solve a crime in a cooperative environment and each decision taken by them affects the storyline in some way or the other. ‘Lovestruck in New York’ is a light sim dating simulator that is available on android and iOS devices. It tells the story of Mia, who has recently shifted to New York and the bright lights coupled with the tall towering sky scrapers has left her wondering about her future. As she travels across the city, she stumbles upon a bar and starts drinking the night away. However, before long she finds a dazzling boy across the bar who manages to catch her eye! This is the point where the whole experience of the city changes for her and she finds her thoughts eluded by the guy for the better part of her days. 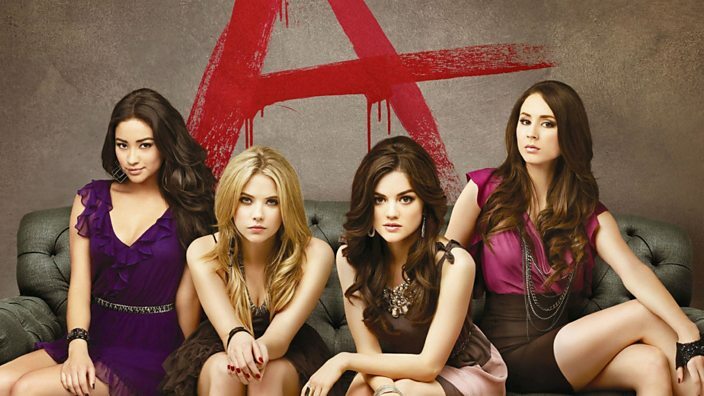 You are one of her companions who is there to help her out and advice her on her best choices. The decisions you make during these conversations will have an adverse effect on her relationship with the guy. There are several endings for you to explore, so if you like playing games like ‘Mystic Messenger’, then you will definitely like playing through this one. It has quite favourable reviews on both the platforms, generating quite a large fanbase for the game. The developers, too, were quite involved with it post release, polishing the experience and tweaking the storyline choices here and there. 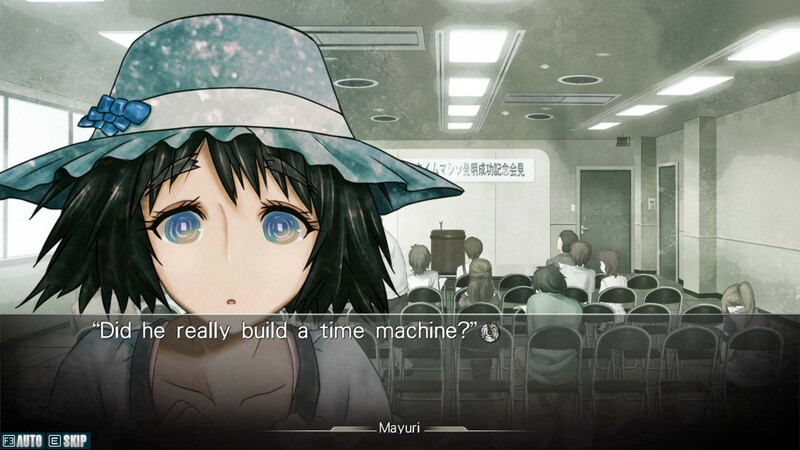 ‘Digital: A Love Story’ is a free to play text based visual novel released for Windows PC, Linux and macOS systems in the year 2010. If you grew up during the 80s with a personal computer handy, then you will probably be familiar with the interface of this game. It simulates an experience that is similar to the Amie operating system, a popular one during that time. It is set in the year 1988, or to be exact, “five minutes into the year 1988”. As you log in to the system, you are able to access various forums and bulletin boards where you need to search for specific important information. You are joined by your online love interest and you both start frequenting certain boards in order to solve a mystery that has been bothering you both lately. As you start investigating, you find yourself obtaining various long distance calling cards illegally in order to reach the bottom of the mystery and these choices certainly question your morals and ethics. All the decisions that are taken by you affect the overall storyline and the ending of the game, a mechanic that is also found in ‘Mystic Messenger’. ‘Liar! 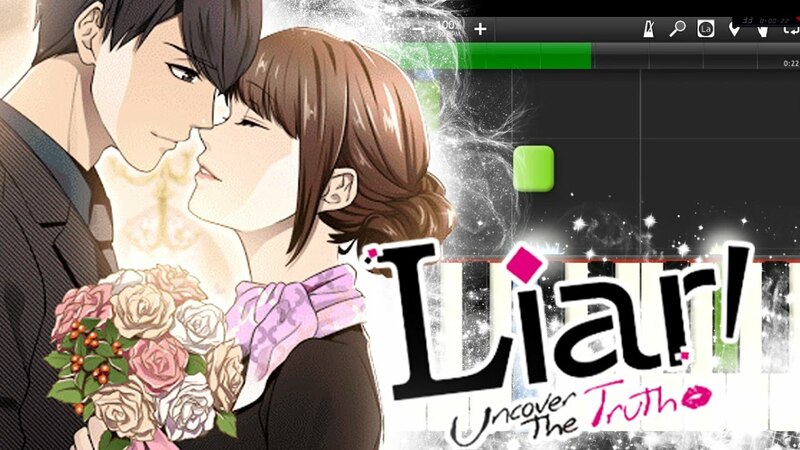 Uncover the Truth’ is an otome title in all aspects and plays very similar to ‘Mystic Messenger’ but allows you get back at those cheating, lying ex-es. The game is a simple text based puzzle adventure where you are required to conduct investigations into the lives of your past partners and bust their lying bums! You come across various instances where you discover that most of your partners have been either lying to you, using you or have been cheating on you. The decisions that you make during that course of time will dictate the ending for that playsession. There are multiple endings for you to explore, so you better get cracking on this one. The dialogues in the game when you catch your partners cheating are hilarious and this is one of the reasons why this game is ranked so high on this list. Sometimes you are also able to join the heinous acts of disorder as a last stand of your defiance and that is the ultimate irony of the game. ‘Golden Hour’ is an otome visual novel that is expected to fully launch sometime in 2019. After your mother shifts to a new island city due to her job, you are forced to tag along as well leaving behind your whole life basically. However, there is a completely new life to look forward to as the high school you are joining is teeming with new virtual prospects. As you foster new relationships with the various characters in game, you come as across rival factions as well. Decision making in the game and relationship management is of utmost importance as it allows you to make friends out of foes as well if you manage to make the right choices. A demo of the game is currently available, so if you want to check it out, head over to the android or iOS appstore and get a head start into the community. Similar to ‘Mystic Messenger’, there are several endings in the game but none of them are entirely apparent in the demo alone, so we need to wait for a full release in order to get a better understanding of the mechanics. You are most probably familiar with the popular anime of the same name, but did you know that it has a fully playable video game? It is a brilliant visual novel developed and published by 5pb for Xbox 360, PlayStation 3, PlayStation 4, PlayStation Vita, PlayStation Portable, Microsoft Windows, android and iOS devices. So yeah, it is playable on virtually all modern consoles except for Nintendo Switch and this massively adds to the accessibility of the game. Add that up with the popularity of the anime series and you get one of the most popular otome visual novels of all time.